To request information, please fill out the form below. Between the two centuries, some new artistic movements were growing, especially impressionism, so that the academic painting of this time has been completely overlooked. The gallery has distinguished itself by defending these forgotten artists and wants them to be discovered by as people as possible. 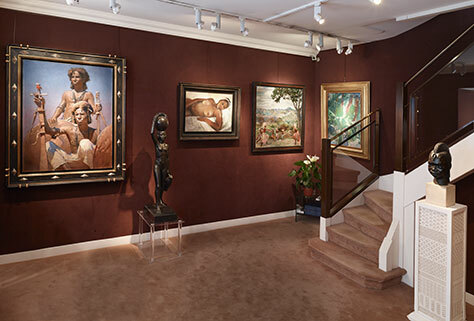 It has been present at the last three Salon du Collectionneur, at the 2012 Biennale des Antiquaires and has exhibited paintings at the Brafa Fair since 2010. Through a very rigorous choice of the paintings exhibited, the gallery Ary Jan has convinced the press and public of the great quality of academic painting from the end of the 19 th century.Steadfastly facing the future, the gallery is looking to make new contacts at art fairs, especially this year at Masterpiece Fair in London at the end of June, and at Fine Art Asia in Hong Kong in October. Completely self-taught and with a deep passion for this artistic period, Mathias Ary Jan developped his business between 1999 and 2006 in his first gallery, located in the Louvre des Antiquaires. In June 2006, the gallery moved to the rue de Penthièvre, where it has become the only French gallery completely dedicated to the Belle Epoque and Orientalist painting. Parallel to his role as an art dealer, Mathias Ary Jan has developped his expertise. Since the creation of the Félix Ziem Association in 2009, he has been, together with fellow art dealer David Pluskwa, the expert on the eponymous artist. He has organised several exhibitions of Ziem’s work. He was actively involved in the exhibition organized in 2011 for the 100th anniversary of Ziem’s death, in the Palais des Arts in Marseille. This year, the Félix Ziem Association is happy to welcome the art historian and researcher Gérard Fabre, who has already written several books about the painter and his works. 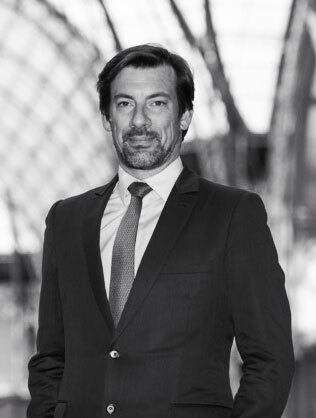 Mathias Ary Jan has been a member of the Syndicat National des Antiquaires (National Union of Antique dealers) for more than 10 years.He was recently elected to the board of directors, where he holds the position of assistant treasurer. Concerned about doing his profession with integrity, Mathias Ary Jan has just joined the Compagnie Nationale des Experts, the chamber of antique dealers and antique books dealers. Thegallerist himself give this definition of the expert-dealer : « a specialist who has day to day experience of the art market, and as a result is an excellent advisor ». Catherine Ary Jan has brought a more technical approach to the gallery. She joined the Gallery Ary Jan at the begining when it opened in the Louvre des Antiquaires in 1999, as a painter restorer, profession she practised for several years. Each complements the other, and the state of conservation of the paintings has become one of the most important points when the dealers are about to buy a work of art. Always thinking about presenting the paintings in the better conditions, attentive to every detail, the gallery staff make daring choices, keeping original frames where possible, or searching frame from the same period as the paintings. The integrity of the works is then fully respected intentionally. Today, Catherine Ary Jan writes the catalogues even for exhibitions in the gallery and for Art Fairs. Dina Emrani-Raffray joined the gallery in 2012, and her knowledge of different langages and cultures come and have enriched the services offered by the gallery. After finishing her university training in Italy, where she specialised in 19th and 20th century paintings, she researches the paintings and the artists. She also takes plays in designing and writing the catalogues with Catherine Ary Jan, for events, fairs or theme exhibitions. She is also responsable for the gallery public relations, and she develops and updates the different communication media. Moreover, her great knowledge of oriental culture is very helpful and finds a resonance in the paintings displayed by the Gallery Ary Jan.